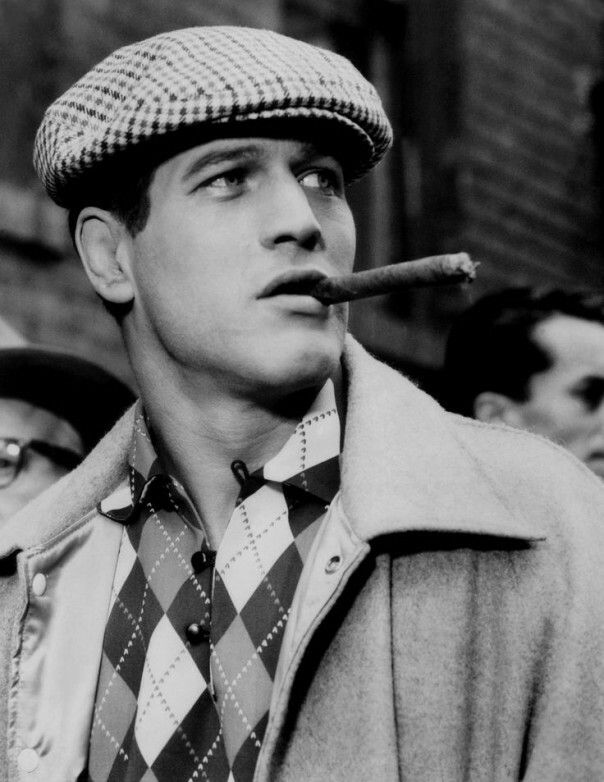 If you think that looking dapper has a time and place, you’re thinking in the past. The classic styles of yesteryear has meshed with the casual gentleman of 2015, creating a fabric palate of men’s accessories like never before. We’re talking about classic watches with an all-black overtone, striped ties with a rugged and wooly disposition, or pocket squares with the same print complexity of a Japanese Kimono. Leading this movement is the brand, Salt + Dapper, and from what we’ve sampled from their collection, they offer some very unique fabric choices. We’re talking about old world craftsmanship and just enough elegance and ingenuity to turn your everyday casual wear into something noteworthy and just a little bit unexpected. Please allow our new friend, Jack Fishchman, to explain how the term menswear is changing, and what you can do to make the change work for you. We have entered a new era, one which I will cleverly coin as “the advent of #MENSWEAR”. (I have a trademark application pending for that ingenious coinage. Just kidding.) Authorities differ in opinion as to when this era actually came into existence but all will concur there is a before and there is a now. The BEFORE is easy and we all remember it. Whether it was ourselves, our dads, or our grand dads, it went something like this: You wore a suit to a wedding, a funeral, church, synagogue, a job interview, and the job. The suit was stiff and bothersome. It exuded an air of formality and the tie choked off any air of fun you may have attempted to experience during its usage. You couldn’t wait to rip it all off, roll the tie up into a ball, fling it together with your jacket to the corner, and finally relax. On weekends you would wear a pair of jeans (or dungarees depending on how old you are) with some worn out sneakers (sneaks). Those were your comfort/casual clothes. Style in the formal part of your day or week meant matching your tie to your suit. Style in the casual part of your day or week meant, well, it did not actually mean anything because the concept simply did not exist. Enter present day #MENSWEAR. Casual and formal lines begin blurring. Business casual becomes the accepted dress code, and young twenty-somethings are heading behemoth tech companies in untucked shirts with jeans, and all of a sudden there are more questions than answers. Men begin paying attention to details and styles; style concepts evolve and expand. If you find yourself lost in this ever changing climate, have no fear. It is actually easier than ever to develop and adapt an updated look with just a few key concepts. To start, remember, your outfit does need not be a set. Things do not need to match, rather they should coordinate. For example, a pair of dark slim jeans works great with with an unstructured (no bulky shoulder pads!) tweed or charcoal jacket. Wear that to the office and you come off as relevant and confident professional – but very much in the game. Dress it up a little more by adding a tie of an alternative fabric like a wool or cotton flannel. Our Salt+Dapper flannel ties were introduced for this very look – the slubby flannel texture lends an air of casual to the concept of a tie. You are dressed for success (pardon the hackneyed expression) but you don’t come across as a stiff banker. 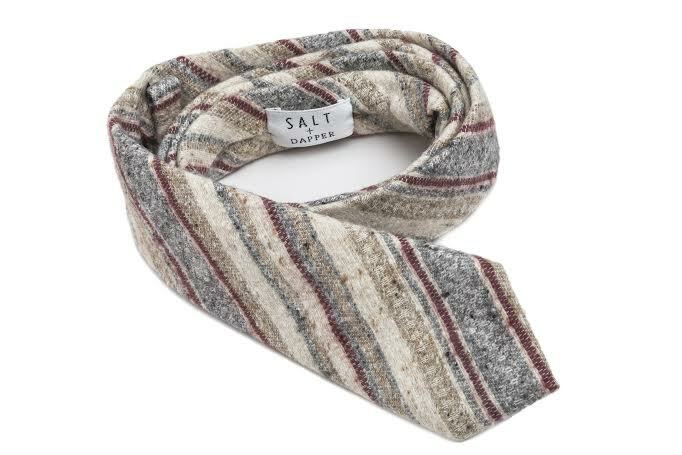 Another alternative to the traditional boring silk ties are knit constructed ties. Knit ties come in many materials and weave patterns. We boast a collection of fine silks and wools, knitted with a square end finish. Perfect for tying (no pun intended – I swear!) the outfit together and creating that fusion point of class and trend. The texture will stand out and the craftsmanship will earn you instant street cred. If you still have an aversion to the tie, that’s OK. Pocket squares are a great way to add a pop of color to your threads and instantly and easily accessorize . 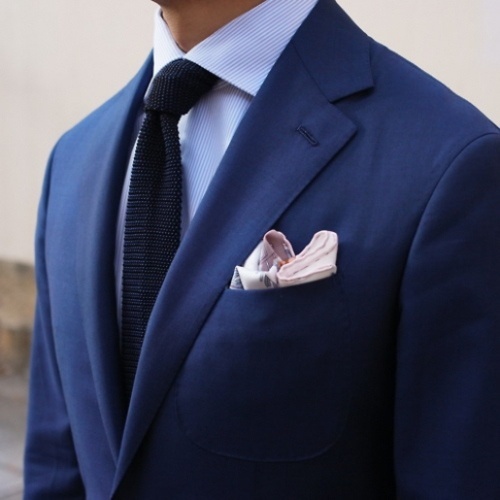 Fold a pocket square (deliberately slightly askew) and feed it into your breast jacket pocket. Our pocket square line consists of not just simple basic cottons but interesting styles like our Japanese cotton prints – featuring exquisite print work on the best premium Japanese fabrics. 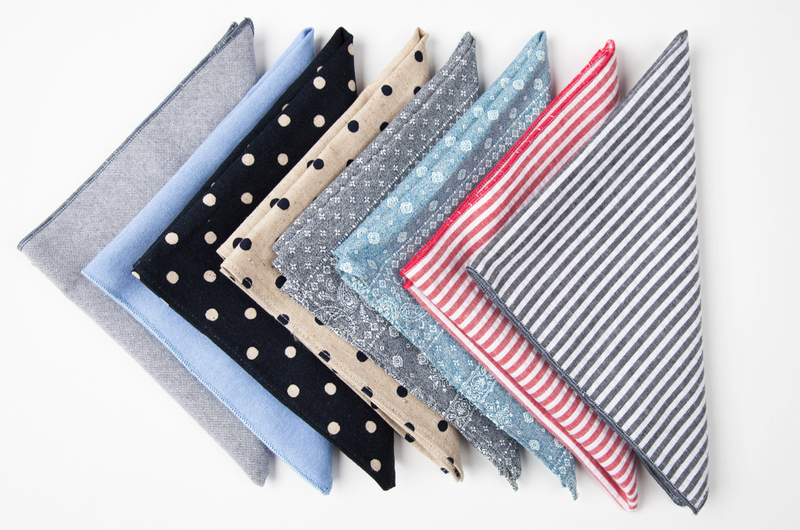 Adding pocket squares to your wardrobe are an easy way of keeping your look fresh, colored, and coordinated. Another great add-on for your new age wardrobe is a pair of suspenders, or braces if we are being considerate of our English brethren over on Jermyn St. Suspenders are not only for really big guys or farm hands anymore. Wearing a quality pair of braces buttoned to the inside of your pants (no clips, sir) will quickly and efficiently qualify you as duly styled. Don’t think in terms of an overstretched brown elastic your grandfather wore; we are talking about advanced menswear here. Brushed wool or a satin grosgrain strap, handmade in the USA, with top grain leather accents and English steel hardware; THAT is how it’s done my friend. In summary, updating your wardrobe and joining the #MENSWEAR club is a less daunting task than you may have thought. With a few simple bits and pieces, you can begin to transform yourself and evolve into the dapper dude you wanna be. This was a fashion tutorial written by Jack Fishchman, who is no stranger to the fashion industry. He is currently the driving force behind the Salt + Dapper brand, which you will soon come to recognize by its exclusive denim tie, S+D/Timex Watch series, and unique collection of curated grooming essentials that add just enough salt to any man’s dapper.